The Economic and Financial Crimes Commission has said it is preparing to reopen investigation into alleged fraud cases that have been put on hold because of subsisting permanent injunctions secured by the accused against such cases. A top management staff of the EFCC in confidence said that the commission would no longer be deterred in its mission to investigate allegations of corruption by such injunctions used in the past to prevent it from looking into corruption-related cases. The source said the EFCC was empowered by the constitution to investigate allegations of corruption without any inhibitions whatsoever. The top EFCC operative, who spoke on condition of anonymity, said the commission would rely on Section 15 of the new Administration of Criminal Justice Act to investigate all such corruption-related cases in the interest of the people. Refusing to disclose the cases to be reopened, the source, however, hinted that some celebrated fraud cases against former governors and ministers would be reopened for fresh investigation and prosecution. It was further gathered that the commission would intensify legal efforts geared towards the lifting of the seeming judicial embargo on some high-profile corruption-related cases. 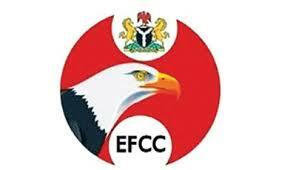 The source said, “Let it be clear that the EFCC will go after all cases that are deserving of investigation. There is nothing like permanent injunction now. “We have a duty to investigate all cases; we are empowered by the constitution of the Federal Republic of Nigeria to investigate all such corruption-related cases and that is what we are asked to do. The source told our correspondent that the EFCC would interrogate the former Minister of Finance and Coordinating Minister of the Economy in the last administration, Dr. Ngozi Okonjo-Iweala. It was learnt that the commission would also look into the activities of three officials who presided over the affairs of the Central Bank of Nigeria in relation to the ongoing arms purchase probe. They are the former Governor of the CBN and now the Emir of Kano, Muhammadu Sanusi II; former Acting Governor of the CBN, Mrs. Sarah Alade, and the current Governor, Mr. Godwin Emefiele. However, the top shot did not give the exact date when the top figures involved in the release of funds and approval in some cases would be invited by the commission. “I will find out and get back to you. These cases are very many; several of them are ongoing but I will get back to you on this issue,” he added. Meanwhile, the Chairman of the EFCC, Mr. Ibrahim Magu, has disclosed plans to establish of a Procurement Fraud Unit in the commission to strengthen the fight against corruption in the country. The Head of Media and Publicity of the EFCC, Mr. Wilson Uwujaren, quoted the EFCC acting chairman as having made the comment while hosting a coalition of civil society organisations, in a statement on Wednesday. Uwujaren said Magu expressed concern over the increasing rate of procurement fraud and told his guests that the PFU would contribute immensely to the anti-corruption battle when it became operational. “I am so concerned about procurement fraud. I am thinking of establishing a unit, purely on procurement fraud. When put in place, it will go a long way in checking corruption,” Magu said.